The LIVING LIFE EERGY STREAMS for the Star-Seeds who came here when their Provider died- and Absolute Proof that on this Planet, there is a Conspiracy..
'Absolute Proof that on this Planet, a Conspiracy Exists'. Best viewed on Google. "......for a Planet that Wishes to Evolve"
There is a history to this planet which includes the interest in the 'eye of god' - which is what a star that has gone into supernova looks like. Many, many teachings and spiritual disciplines on this planet have originated from the people who were from the planets that were in that system - born here now as a second chance. As it was indeed once their Life Stream Provider, they have interpreted this 'eye' as a 'portal' into the 'heart of god'. They have done so because it was once their 'Well Spring Life Stream Source' until it died and their 'star-seed' eventually seeded on this planet. But they still don't know that their Living Energy Source died. Those who don't know this include several long established religions, and of course, the Masons. Ancient teachings on the Living Life Streams were covered profusely, even though they have translated as the living plant food diet. There was a once Living System which died, and the star-seeds from that dead system (almost everyone) were born onto this planet - which gives them the chance to get to a new Living Life Stream Source. Within just a few years it is expected that something of interest is going to appear from behind the sun - a 'portal' which it is, or looks like a planet as some believe. This is what many people are getting excited about (but what that is, is not the ascension of this planet). Logically this highway to the centre of this galaxy would seem to be a direct pathway to God Source, except that Earth is facing the negative side of that centre - and it has been deliberately altered to face that angle. As the article link showed, science is monitoring this and describes it as an energy 'jet' issuing from the black hole. Spiritually it is seen by those of those ancient star-seed religions to still be the 'portal'; into God Source. (link to be added). Therefore there were Teachings on this planet - silenced and persecuted - which explained this error, while the planet itself provides an opportunity to literally lift people out of and away from that and take people to a Living Life Stream Source. Since making the choice to prefer an energy stream the people thought they liked better, they gave up their connection to the full power LIFE FORCE ENERGY and mankind has been bringing in massive amounts of negative energy which is also harming this planet badly. 'Absolute Proof that on this Planet, a Conspiracy Exists' in the updated yet still original format. Updated Jan. and continues from the first part of the previous page, but some of the material may have become clearer since this was written. and most likely the idea of a fresh new beginning with a 'new Earth' sounds like it has something to do with the planet's Ascension. those who have prepared for what they believe to be a 'spiritual homecoming'. Ancient teachings on the Living Life Streams were covered profusely, even though they have translated as the living plant food diet. What they actually cover is the existence of Living Energy Life Stream Sources within a living Galaxy. These star systems provide and produce the energy which feed into all the living stars and planets within each one's own system. People from some, probably all of the planets which existed within one of these systems which died, were re-seeded onto this particular planet for a purpose - a second chance. Even Einstein with his 'God letter' could not see beyond the 'mind conundrum' that is this level. It is impossible to ever expose or even uncover the actual deception without knowing more about what this 'world of Illusion' is. You can only keep looking where you know about and to what seems must be - and all these things are still part of the 'false reality'. Some storylines may be extensions of the same illusion, e.g. 'humans were created by advanced aliens' etc; and other fascinating things discovered, merely attractors of the energies of the false light, including prisms, water codes, DNA or even rainbows, but which nevertheless exist here in the false reality - the Maya and 'world of Illusion'. However, if you follow up - the shadow, the photo-negative of the True Reality, a creation formed by negative light, a 'projection like a movie' onto a screen but a screen that may not always be available etc - then you may find what has been missed. For example, one of the things that remains unknown, is that the 'conspiracy' is an attack on three different fronts and those hidden fronts are progressing unnoticed as a successful part of the same plan. You know about the economy, world government 'big brother surveillance' and alien/extra terrestrial contact and as the supposed creators of mankind. Perhaps these were always meant to be known and be the focus? But the Plan has always been to make the original inhabitants from when it was a Higher Level planet - which fell to the 3rd realm - slaves of the people of the 'lower level'. It was an ancient war which drove the original custodians of this planet northwards under a surprisingly sophisticated level of attack, evidenced by archeological findings of radioactivity consistent with nuclear explosions. That battle continued throughout known history, and those in the north built up their defenses especially over the oceans. The words in a very well known anthem from those who had gone north were this : "never, never, never will we be slaves". It is not so hard, especially in a world with communication technology, to misrepresent people and how they overcame an enemy that laid claim to their once high level planet, and then make the good side look bad; as well as trash and defame their spirituality. If the legitimate side is made to look bad and 'the people' accept 'this world', then those born of the same origin as the Solar System - but not the origin of this planet - can claim the right to this planet remaining in the 3rd realm as a legitimate 3rd realm world, as being the level of consciousness on all levels, that the people have accepted. It is hard to make informed decisions, especially about a spiritual path, with only incomplete and possibly compromised information available. 'Mysteries' like how the planet leans towards a particular type of energy; and why this world is described as a 'world of Illusion' and an 'artificial reality' - created using an energy called 'black poison', eitr which produced ektoplasm or eck-toplasm (plasm means some kind of living fluid and ek refers to the negative/magnetic). This gave a name to the substance that was used in a reality called 'this world' which did exist 'over to the left' from the planet, but somehow, something had gone wrong about that situation, leaving the 'false reality' in a problem known as 'repeating rebirth'. This is a situation that souls have been trapped in, despite the planet's regular ascension. When the a 'new world' begins again, it is not at all easy to do what it then takes to free the soul and break free of the forces that the physical body is caught in, but at this particular time, the magnetic shield around this planet reduces considerably which not only allows in more heat - designated 'Climate Change' - but it allows in more positive Forces from the Higher Realms. However, almost everyone is waiting for or has prepared spiritually for the 'new Earth' instead, although most likely the idea of a fresh new beginning with a 'new Earth' sounds like it has something to do with the planet's Ascension. We cover what that is so that you know and can act on it. The time before the planet switches to its Ascent - which seems to be sometime in the early 2030's - provides a once in 25,000 years 'window of opportunity'. Unfortunately, the 3rd realm people of the 'Mind and Intellect but without the Heart connection', long ago developed technology - using the energy that issues from their own source of origin. There is indisputable proof of sophisticated weapons and aircraft - they are clearly shown on a wall carvings dated some 18,000 years ago at least. They also developed 'artificial intelligence' to run the system which they feel should organize and run this planet and its worker/consumers - and we look more on that as we go along. Yet it means that for a long time, they have had 'artificial intelligence' at their disposal to respond to and provide answers to every single thing that anyone might attempt to do to overcome their mission, or try to leave this realm. It was always a baffling question why a Higher Consciousness 5th Realm planet that this was, would ever have developed an energy garnering system like the 'Abundant Provider' and delved into making tech goods, weapons, and explored genetic engineering - which made it seems that they had developed the ape upgrade that was Genesis. All of this was such a significant step down from their Higher Level status. Turmeric - has properties which protect the brain and help the body fight cancer. This work looked at the existence of a super efficient AI run world System being implemented for today's world - which was also very much indicated in ancient records as the 'illuminated' System. It is not actually as efficient as it appears, it is frequently careless, it is sloppy and fails to understand the bigger human picture It does not cover simple aspects which may in fact one day lead to real difficulties for people. Perhaps you have also noticed the complete indifference to and non-existent understanding of real human feelings and lives in the world those in control are trying to create? It was supposed to bring in a more 'efficiently' run planet, and it is their System just the same, all of it, all that everyone already accepts as normal - like crazy forms of government that block what can be achieved, use of the law to threaten and manipulate people, and now some people are talking about a new world where we all have to learn how to write code so robots can do everything - and then ask if this planet really need humans if being super efficient is what it is all about? This is a machine organizing human lives, something created by and programmed by 'intelligent' minds, yet people who are not '5th realm' beings and who themselves struggle to mentally understand what 'God' is, usually seeing it as a 'primitive, fanciful and childish level of thinking', hence the information and world view programmed into the machine. It is also the view that the evolution of mankind lies in merging with AI. That is not the case, it is not a higher status. The acceptance of the organization of the world that is taking place is explained away from the point of view of emotionless logic which states that its acceptance is reasonable, even a sign of realism and maturity. What humans logically need is good living standards, and pleasurable pursuits, while they work to sustain the System which runs the reality - a reality which does not understand the existence of the soul. Thus the ancient world went ahead with its technologies which led to the 'sinking of Atlantis' and the verifiable current status of this planet which now has a wobble. There are libraries full of ancient texts known to 'societies' which described the design and plans for advanced technologies (they are simply rebuilt in the current time). Acquiring these is what some of the wars have been about. However, the important aspect of this to understand is not the story itself, but the issue this work looks at in the first section of that article, and the summary version in the link 'false light'. What did happen is that it flipped this planet' EMF circuits into a reversed status - magnetic/photo-negative - and because of this, it has blocked access to communications from the positive '5th realm' which in the 'greater soul body' communicates via passing through the sun of this solar system. This also means that because everyone ended up in the reversed reality, those who are now repeating this mistake still don't know it was a mistake. Or perhaps it wasn't a mistake in their eyes, because they are still trying to align this planet permanently to their star. What went wrong about it, led to what has been described as this reality being like a movie or a play. After this planet switches polarity to positive, it is some 12,000+ years later that the movie (and the next 'new Earth') begins again - with everyone back again despite that the planet changed into its ascent. The antidote to the photo-negative reversed reality, which was definitely a mistake for those who wish to evolve or return to the Higher Worlds, is when this planet switches to the positive charge. The instructions which reach this planet to trigger that, come through the sun of this solar system. The sun of this Solar System is now in the process of ramping up and transmitting energy to trigger this planet to change over to its positive polarity, for what is generally known as 'Ascension'. However, that is not the 'new Earth', and it is also not a once off 'new Earth' that is some kind of evolution that mankind has reached. When it returns, it will be another 'new Earth' although eventually the dark Plan is for that to become permanently aligned to their star source of origin - the dead and dying stars of the Cain/Dog constellation trinity that included Osiris. Soon the sun will begin its next 11 year Solar Maximum the one which should make the difference. It will start passing through instructions for the planet to activate its ASCENSION FORCE. The 11 year cycles were made up of 11 maximum, 11 minimum which we are now in, and then the next 11 maximum (11-11-11) but this time with altered, positive energy passing through the sun. Since 2001 there has been a 33 year 'window of opportunity' to escape the 'entrapment' here in the 'spell' of the 3rd realm reality - but it is not easy, there is opposition to prevent you succeeding, and it is not done alone. The Illuminati side had until the end of the last Solar Maximum to get the people to call for the 'world government'. The 2012 date became the failed attempt - a massive, covert operation known as the 'Arab Spring' which took off in 2011 - meant to get the entire world world on board to call for the new 'One World Government' (also projected to happen in Revelation). It is the reason for which Obama was to be awarded the Nobel Peace Prize but of course it didn't happen. However, some miscommunication happened there and he was given it for no reason whatsoever. It was an operation which was expected to succeed, as a move which had to be achieved before the energy changed over. However, it failed. Now what they can still do, is keep you in the 3rd realm reality and do so for long enough to do some damage. Few have any awareness that there is anything negative about that, so there are no questions. The Plan is an attack on several very separate fronts, including people who come forward to expose lines of Mind Candy to stop you from trying to be resonant with the changed Forces of this planet - which is the only way you can escape. These fronts are apparently unrelated - except that two main Illuminati connected enemies can be identified in the Cain lineage and then the Seth lineage. These are connected as both of these 'usurped' the 'rightful heritage' of 'Abel' which remains unidentified but presumably relates to those born before Genesis. One hidden attack front is still creeping onwards unnoticed and that is to replace the original 5th realm people and those with the potential for 5th realm consciousness, and takeover their culture - effectively wipe out their existence yet be its representatives as if it had been theirs all the time, and also ensure that the people accept what a 3rd realm planet is. Then the origin of the Solar System - but not this planet - can claim the right to ownership of the planet because the majority of the people have accepted their level of values and consciousness. People don't particularly know they are praising it, with a few things that people love and cheer for: - the big wheels which now adorn many major cities symbolizing the 'wheel of rebirth', the song 'Imagine' which is in now an anthem to the world living as 'one' in an atheist 'no religion' reality, that saw John Lennon assassinated to make it an anthem; the New York New Year celebrations where the globe falls from higher to lower - which is the goal of the 'conspiracy'. The consciousness of the 3rd Realm is that of the 'illuminated Mind'. It exists under the level called Mind. That level sees the future of the planet as what logic and intellect can produce. What that produces is an organized planet under a particular System which produces 'prosperity' and is run by a super efficient intelligent technology, which is to control the development into the future. It is the product of the Intellect and Intelligence as a vision of the 'future world' along with a complete rejection of the consciousness of the 'Heart' - which it sees as inferior. To achieve that practical and clinically efficient goal - so efficient that mankind in its current form, could be seen as unnecessary - long ago, the light from a sun producing a different energy was brought to this planet. It was negative light from a sun/star which had begun to die - which is the reason it produces the particular energy that makes all technology possible. Vine Leaves - For general health and wellness, the leaves are a good source of nutrients, including vitamins C, E, A, K and B6, plus niacin, iron, fiber, riboflavin, folate, calcium, magnesium, copper and manganese. Cider Vinegar - High in Acetic Acid, With Potent Biological Effects. Can Kill Many Types of Harmful Bacteria. 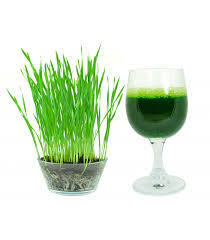 Lowers Blood Sugar Levels and Fights Diabetes. 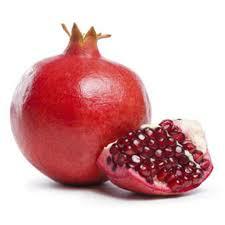 Lowers Cholesterol and Improves Heart Health. ..........that means it did cover the 'controversy' and 'plan' that had taken away that Peace. The 5th Realm consciousness is in fact the true 'evolution' of mankind - which has not yet reached that level. That higher level relates to the ability for human feelings (inner not sensory) of Peace, Compassion, Gentleness, Innocence of Being, Humility, Selflessness, and Wisdom - that are the attributes of the 5th Realm which the planet is about to return to - and the reason why the 3rd realm existence cannot go into the 5th realm. It is not their 'future world'. In reality, it is not important how efficient this world is. Being a higher human is the gift that matters. A super efficient world and the profits it makes, do not make for an enriching human life experience, nor is it a Higher Consciousness. But a super efficient world it is the logic of an 'illuminated Mind' and the driving force which makes up the 'conspiracy' - which is what the lower realm and its lower consciousness is. For now, be clearly and fully aware, that protests and 'people power' work only in favour of the 'conspiracy', yet it remains the only response people think is the answer and means they are utterly helpless against it. Instead, it could be more successful to do what it doesn't want you to do - reject its system, its products, and stop allowing it to dictate your life; and even better, work on what is needed in order to get out of it. The control for all of this is smart because almost all people give it every detail of their existence and weaknesses, every day, and worship how fantastic it is, so much so that humans constantly tell it, it is far better than humans are. But it is a machine. Its a piece of junk - created and programmed by people who knew no better. Related Topics : An ancient 'artificial existence' and 'artificial intelligence' : a Higher Level inhabited 5th Realm Planet which now passes through the 3rd Realm : a second intelligent creation which took place in the 3rd realm from a different source and who now want this planet to remain there (not return to the '5th Level') : a hidden but still ongoing war to wipe out the freedom and 'innocent' goodness that is the heart of all 5th realm people and those with 5th realm potential and destroy their culture - for which immigration is a strategy for the same purpose the Chinese moved people into Tibet in order to replace the Tibetan culture. An example: in today's world is the once polite, awfully nice, trouble free, "Vicar of Dibley" British culture - home of Mr. Bean, Miss Marple, the 'Carry On' films, and a bumbling Hugh Grant in 'Notting Hill' - which now includes acid attacks, honor killings, and people called 'Butcher John' from Little Diddlesbury, or Moreton-in-Marsh, all now part of Britain's (and France's, Sweden's and Germany's etc) new, more primitive social identity. Plus: The conspiracy of the 'new world' which is based on a computer analysis says that some people - or the System itself - will make more money and profits from the immigration strategy - which is human 'consumers' literally being re-branded as non-human, genderless pawns on the chessboard, moved around as 'they' decide because this makes more profit and benefits a non human System - but which completely overlooks the levels of civilized human development which had existed. Plus: It is predicted that all kinds of masses of people in their own communities will turn on each other mostly because they are stuck with cultures and viewpoints forced onto their existing societies and former lifestyle which they simply don't like and do not want to be part of. Plus: Also the constant use of 'people power' to remove leaders/governments, sabotage government policies, and cripple leadership is an issue that includes even the existence of a government structure which makes it possible that any number of people who are totally unfit to be leaders themselves, are in the position to sabotage and block the initiative of the appointed Leader. But it does mean that if the Intelligence which controls the world wants something in or out - like Brexit perhaps or removing Trump - it holds all the aces doesn't it. At the Climate Conference in Poland (climate change is part of the changing planet that is Ascension back to the 5th Realm) Sir David Attenborough has said the planet is heading towards the collapse of this civilization and 2030 is the cut off date - but which has also been predicted as 'end times'. However, the 'end times' of the lower 3rd realm, is the beginning of the planet returning to the 5th realm. This planet cycles between the 3rd realm then Ascends back to the 5th realm. As most people know, it is about to make that change again and switch to its positive polarity. As this planet 'falls' into its temporary journey through the 3rd realm, it passes through an energy dynamic, a 'portal' as described by the late Stephen Hawking, but also called 'going down the 'rabbit hole', which instantly sent this planet into reversal. Earth passes through that 'portal' even though it was a living energy planet in a higher and positive realm, because it was gravitationally caught in the force of a star which exploded in the lower realm, which is the negative, magnetic side of the barrier - known as the Void - between positive and negative on the EMF scale. That star may have been 'Osiris' which in the ancient Egyptian story, exploded into fourteen pieces which formed this solar system. However, neither this planet, nor Mars, were part of those pieces or part of 'Osiris'. They were higher realm planets caught in the effects from that explosion when one of those fourteen pieces, a massive sized planet now known as 'Nibiru' passed within gravitational force range. Of those pieces, there are all the known planets of those solar system, and the many planetoids, asteroids and so on, all located in the Kuiper Belt at the edge of this solar system. This includes Ultima Thule, a name of a mythical kingdom known to 'secret societies' and currently a small icy rock object of interest for a NASA space probe searching for the origins of this solar system. But this planet was not part of the star which exploded. However, that explosion may have been the 'big bang' origins of this solar system. Osiris was the star which exploded and became 'fourteen' new planets along with many other planetoids and asteroids and pieces like Ultima Thule. This planet and probably Mars, were not part of this original lower realm star, but were caught in the Force. Thus this living energy planet was pulled by the 'invisible force' through that barrier 'portal' and found itself on a cycle which then passed through two worlds - the 5th realm Upper World, and the 3rd realm Lower world where life was not supposed to take place. Life does not take place in the magnetic lower realms, but this was a living planet, and light from this lower realm did reach this planet during the time it passes through. That light was the negative light, and it carried codes. We begin with the pathway of the particular energy from a different sun which was issuing a different type of energy - but a 'sister sun of Osiris' - that was brought to this planet. "..........long ago, the light from a sun producing a different energy was brought to this planet. It was negative light from a sun/star which had begun to die - which is the reason it produces the particular energy that makes all technology possible". This is the pathway of that energy/light. but is the very beginning at the base, of the greater body of the 'lost path' to the "Highest Most Supreme, Eternal God Source that is the 5th Realm." The latter of course is not the same path through the chakras which go to the fully awakened blossoming lotus flower in the crown. The now missing Higher Path is a separate and different path which only begins at that point, and also begins on the planet after it switches to its Ascent Phase which is yet to take place. Therefore to find out more about this - for those who want to get to the proof - we have to look at the planet's entry into this reality where it 'materialized' literally from a higher dimension, 12,000 years ago, at what is called the First Times, where in ancient texts it is written that in a 'what just happened?' scenario, people suddenly 'found themselves' in this reality. That is when this planet entered into the negative magnetic realm, and found itself located within this Solar System. In addition, once it did materialize in this Solar System in the lower realm, it then became the 'screen' upon which a story from a planet in the long ago exploded star began to project onto this living planet. A story held in the light codes from an ancient time, travelling through space, which then found a 'screen' in which to take form? The source or origin of that light which reached this planet began to play between entering at the First Times and the exit from it at the End Times. It created mankind on this living planet, and a path back to the source of mankind's creation, and although the body, emotions, sensory levels and mind are all made from the same material as the Solar System, the soul which made this new life possible was not. The soul came from the 5th planet. It is this which becomes mankind's challenge for now that you exist, can mankind distinguish the difference in is point of origin? Does it choose the soul and eternal life at a higher level; or does it choose what this world teaches as its reality and its spiritual path? The spiritual path described here as the fully 'awakened lotus flower' in the crown chakra, which does align into the source of light which created the body, is in fact the very beginning of the 'greater body' of the True, Eternal God Source. That spiritual awakening relates to the creation of the body you are in to exist in this reality, and although that level can be complete in itself, it is nevertheless, the very beginning and the lowest point, of a completely different energy stream that is not part of the 3rd realm. It is not a stepping stone to the Upper Levels which the body of mankind is not part of anyway, it exists separately from it, and the existence itself is not ongoing. However, with each cycle of the planet, mankind is given the chance to be part of the Upper Worlds. It matters because there is a time limit on how long this UPPER level planet will be allowed to remain passing through this lower realm, but it is allowed because there are people now on it. Already this reality goes into regular dissolutions to return many thousands of years later as the next 'new Earth' when you again get a chance to choose a Higher Consciousness and therefore not go with the ultimate destiny of what is already a long dead story of a planet lost when its star exploded. That is the grace that was extended and the materialization of this 'screen' which makes this second chance possible, may not have been an accident after all. Yet the path presented and accepted is always the 'new Earth' which is the Path of Rebirth. Eventually that path and existence will disappear - for at the very least, this planet will return permanently to the 5th realm and no longer be the 'screen' which has made this second chance to evolve higher, possible. It is the most important consideration of your entire existence, with maybe 15 years from 2019 left this time, and even that may now not be enough time to do it this time round. Mankind is a creation of the lower realm which happened when the light reached this living energy, fertile planet while it passed through, and unfortunately created life. Yet the light which did that here is false - even though there are interesting references in new works covering light codes found in water, crystals, prisms, how it creates karma etc - but everything in this reality is the false light and false realm. Your only sensible option is to get out of the false realm and focus relentlessly on succeeding with that. Here is a clearer description of the difference between the two paths. When the 'Highest, Most Supreme, Eternal 5th Realm Source' teaches on this planet which has two creations existing on it separately during each of the two different phases of the planet's cycle - the Upper 5th Realm level, and also the lower 3rd realm level - then such a work can talk about the positive and truly beautiful, gentle and genteel attributes of the True status level of this planet which will soon begin to leave the lower level behind. Or it can talk about the what this creation actually is. *Following this you may like to check the links for the origin of this Solar System and for Planet Maldek given in the index. "The Illusion that this Reality Exists." For 12,000 years in the descent phase of the 25,000 year cycle, this planet passes through the outer realms of an entry point into a black hole. It was while this planet was passing through this, that a light issued from a source, and created mankind. There is a spiritual path back through the chakras in the body to the crown and an awakening described as the fully blossomed lotus which is an integration with the source which created that body (and the lower self). That pathway or stream belongs to how the creation for mankind as a 3rd realm creation in this Solar System took place. For those who take that path, over time and beyond the life time, that path eventually no longer exists. - which is also the Path of the Illusion. The presentation of this information exists to explain to you the actual reality of the situation you are in while in what is your dream which plays out the reality of a lower consciousness on a planet within a star system which died. You can continue to play out that dream, and the consciousness of what was before, which includes its spiritual path to its source. Or you can choose a Higher Consciousness and be freed from the dream. But the dream allows you the chance to choose a Higher Consciousness or continue with the dead light. The light described above is the one that reached this planet while it is in the lower realm. This planet begins a descending journey then passes through a Void which is darkness, after that a light is seen which becomes the new light to reach this planet. Thus when or if you take that path of 'spiritual awakening' it does not cross any Void, which is how the planet and the 'screen' reached this level. Instead it goes straight up and into its source of light, which is accessed directly and that light issues from specific stars which are clearly taught as the origin of that path. It may seem that this planet as it is, is how it, and life in this galaxy, has always been. But it isn't. This world should not really exist at all, but because unfortunately it does, there is a much bigger story which the consciousness of the '3rd realm' prefers you do not know about. For that consciousness is still trying to establish its 'kingdom' under its 'god' which is also honored as 'Our Lady' for magnetic sources are the negative. But part of a trinity of dead, dying and about to die stars which is why they were in the magnetic spectrum. So a planet of under developed people existed on one of the planets associated with the exploded star, or had blown themselves up with their own technology, but the light travelled aimlessly through the universes and reached a new 'screen' which had magnificently materialized along its pathway offering a chance for redemption. One day that 'screen' will no longer be there. Now it is in everyone's interest to choose the 5th realm and its consciousness. You may wish to check the links for Origin of this Solar System and Planet Maldek. This planet is now soon to change to the 'Ascent' path - a new path, with different energies, because until now, this planet has been dominated completely by the reality of the '3rd realm' and its negative force. That change is going to take over so long as the planet continues on its wobbling cycle as usual, which if it does, is a regular phase of the Cycle of the Ages, not a once off event. The part that is not addressed about this change, is that just because the planet changes back to positive and the 5th realm, does not mean you will. You have to work at that and be accepted, and even with the extension of grace, acceptance is not automatic. But when the planet changes, those who were not lazy, ambivalent, or felt entitled, could go with it. Obviously the 3rd realm teaches its own path - so we explain and show you what that is so you can use your true level of spiritual awareness to see whether that awareness is Light or Dark. The 3rd Realm also doesn't want to keep coming to an 'End Times' and wants the planet to remain in this location (which means not continue with the Ascent Phase of its cycle). All possible for them to try to achieve in the time remaining before the planet changes to its Ascent. The sun only starts issuing the new instructions after the 'End Times' (most likely was 2012) and subsequent solar minimum, ready for the yet to begin solar maximum. Then, after 12,000 years, all new 5th realm level 'instructions' are finally able to break though the other force - the photo-negative aka magnetic and 'magnetic shield' which is now thinning. Here is an important page that focuses on how this planet accesses the photo-negative aka 'false light' and 'false path'. 'Instructions' for the planet to change to the positive charged Ascending Force will pass through the sun of this solar system, which is currently still in a blank, inactive and dormant stage of its 11 year solar minimum. This planet now awaits the sun to 'wake up' - although some solar 'holes' are already directing interesting energies this way. Once the real action starts, that will lead to the completely separate ascending path which has a different Source, and has been 'lost' to this planet while it passes through the 3rd realm. Analysts are not clear what part of the solar minimum the sun is currently in, but as the sun was extremely active by 2003 in its solar maximum phase which may have ended in 2012, the next solar 'wake up' could begin by 2023 and then bring the 'instructions' for the planet to change to its Ascent - which will then begin to leave this realm behind, along with all those who 'marked' themselves into it, said to be 95% of the planet's population. ........Which is how it is believed it has been for the billions of inhabitants of every other civilization in previous cycles which reached this same point when the planet ascended out of the lower realm, and then found themselves stranded in the outer astral regions of a black hole as the planet moved upward and away from the Path of Life and the Death of Life. It is understood that there were plenty of warnings from those previous experiences, about what was going to happen when the planet switched to positive but at the same time, people had continued with the less aware path and remained photo-negative, leaving the question of what kind of place those souls had to remain in before the Earth was reborn. One reason for misinterpretation may be the experience expected being described as 'Rapture' but it does not mean ecstasy. It is associated with an ecstasy rush like in a kundalini type of activation in the planet, which may be why people interpret that that is the path to take. However, it is a switch of polarity away from that force and into the positive in an instant change from the previous status, and an uncomfortable, possibly painful experience for those who thought it was the activation of the negative Force. The problem encountered ever since this planet travelled through the 'portal' (a description from the late Stephen Hawking) and instantly reversed into the photo-negative was called the First Times. It is the existence of a world, and a physical body called the 'lower self' which were created by a 'false light'. Its source is the experience of the awakening through the path of the chakras to the source of light for this existence in the body - which is the photo-negative, as is everything in this false reality. Then there is the issue of what enters the body and mind - which is what this work likens to cancer - that has such power that people do not even see it, because if they did, they would remove it. But cancer never shows itself until it is almost too late. 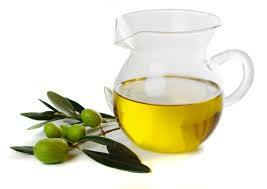 Olive Oil - Take two tablespoons of quality extra virgin olive oil daily. Said to increase arterial elasticity and decrease vascular stress to the arteries, reducing the risk of heart disease and heart attacks. 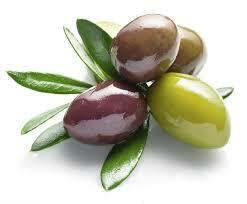 Sipping a little olive oil daily can help control blood pressure levels and inhibit the growth of cancer cells. Introduction to the next section. There is also the issue of a long existing AI system which this planet has been reconnecting into in recent decades, added here for interest because there are ancient warnings from Nordic/Scandinavian myth, to keep away from the Eitr, the 'black poison' which makes all technology possible, including the creation of new realities. However, this is not added to in any way detract from the need to understand the issue of the lower path of 'awakening'. The existence of a great many things, even technologies, to do with this second reality which itself is a problem that is considered 'false' or perhaps artificial, are all known to the administrative levels of the consciousness that is 'Illuminati'. "Genesis and The Illusion that this Reality Exists". As this planet 'falls' into its temporary journey through the 3rd realm, it passes through an energy dynamic, possibly a portal as described by the late Stephen Hawking, which instantly sent this planet into reversal. That is passes through that 'portal' may be because even though it was a living energy planet in a higher and positive realm, it was gravitationally caught in the force of a star which exploded in the lower realm. The portal exists within, or is, the 'Dark Rift' that we look at in relation to the stone star maps of Gobekli Tepe and are important for those looking for proof and hard evidence of proof. The 'Dark Rift' is a Void, where the planet wanders until it again accesses a source of light. The light is powerful but from lower level stars. That time begins around 12,000 years ago - the Zep Tepi - and is the planet in the 3rd realm and in reversal - but ends at the time this planet 'ascends' back to its actual existence in the 5th realm - the 'end times'. It was the light which enters here from these other stars which created life - also found as the beautiful light codes found in water, prisms and crystals. But it is life that is born from and created by these other sources of light, which are negative light, accessed during the 'fall' phase of this planet's journey and they are still the 'false light'. The star in question may relate to 'Osiris'. Even this journey is a 'journey through time', and is not part of the normal status - which is Timeless. There is no Time, but this is the realm of kal/kali which means Time. The life which gradually evolved here since the time the planet was rocked into its unusual cycle between two very different states, is known as Genesis. It is a negative light, in the negative realms, and exists only during the time its source of life reaches this planet and while the planet is in its reversed, negative status that is this world. Therefore, the 'light and love' sources which are experienced in the 'chakra path awakening' are nothing as powerful as the Living Light and Love - and they also only have temporary access to this planet, which is in reality, a higher level planet, 'marked' positive and from the 5th realm. As such, when this planet ascends again - that is, begins the ascent phase of its cycle - then the source of the life which was created from the negative light which reached this planet during its Fall, is left behind. The reason for that, and for the known description of this 'world of Illusion' being like a movie projection, is covered in the 'Definitions' link just under this section. The time when the 'movie' switches off, is called the 'end times' - for the life which was created from the temporary light sources are only a temporary visitor to this planet. If these sources of light reached planets which were permanently located in their 3rd realm, then the life and the sources of that life are ongoing for whatever life may be in the 3rd realm. But those existences would be negative, just as the life-form of mankind as the body etc - including its light aspects and chakras - are negative light. The negative light sources were never meant to reach this planet. Nor were they meant to create life here - for that life has no planet to exist on when this planet moves away, and back to its natural and rightful positive status as a 5th realm planet. There is no normal reason why a high level living planet would ever leave its anchor point within a Living, Eternal Blueprint God Body, other than some kind of interference or 'cosmic collision'. There are scientific views that a 'Worlds in Collision' situation did occur, and other sources suggest it was because of something called Nibiru. The situation is therefore seen to be a problem which first occurred when this planet was damaged in what was a naturally caused cosmic incident, a 'worlds in collision' scenario, possibly the Nibiru event passing through this solar system/galactic region, which affected several planets in this part of the galaxy. It led to life forms born of the light here, including mankind, with only temporary access to this planet - and takes place during the planet's journey passing through the 'lower realm'. So let's briefly look at that again, as something that is not a good situation for mankind. As the 5th Realm is part of the 'Ocean of Love and Mercy' this became a mission of compassion to help those born of this problem (called a 'false creation') who nevertheless ignore and do not understand it, or the reason for that help. To this level consciousness, it is consider 'primitive superstition' or just being fearful and negative. You can easily see that there is confusion over this matter (www.soul-search.org/false-light.html ). It makes no difference that the 'light and love' from that temporary source is still 'light an love', nor that you have worked with cute little nature spirits etc, the light which created life on this planet while it was in the Fall phase - from around 12,000 years ago to the current time when it leaves - is only a temporary visitor on this planet and is not part of the intended structure of the 'eternal life' system that is the Upper Realms. Because this light is only temporarily part of the existence on this planet during the time in the denser 3rd realm, it does not, and cannot, sustain ongoing existence for those who align into it, once this planet returns to its positive status, and correct and actual, permanent Source of life. It would be a surprise if people did not know that there are two 'ways people are marked' mentioned in Revelation in the bible. The only real issue about that long existing information is that it has been ignored and dismissed. In fact when we look closely at that source of information, along with other related sources, it would seem that the biblical records and the Christos understanding with its warnings, including about certain practices, were correct. The most well known side of what became that religion in today's world, has indeed been corrupted and its new versions are for many an excruciating embarrassment to witness. However, it is also part of the same source of origin which continued into the lineage that remained on this planet as mentioned, but with the teachings, and inner practices still known. The reality is they were right and the 'new view' was wrong. This can be seen to be important just a little further down with the section on the 'Time Portal' which this planet passed through to instantly become reversed - because the instant reversal out of it as this planet Ascends again then presents another set of problems that the consciousness on this level did not understand, so have ignored and dismissed as not possible. This again is covered in the 'Definitions' link just below the section on the 'Time Portals'. ".......And Tales of the Inter-Dimensional Time 'Portals'." For those who like a mystical element to this story, there is something more to the tricky issue of ascending out of the 3rd dimension/realm. The entry into the 3rd realm as this world 'Zep Tepi' (First Times) and the exit (end times) from this lower realm back to the Higher Realm, are both inter-dimensional time 'portals'. The late Stephen Hawking used the term portal for this. It is something that is a barrier between one level and a different level. On going through the first one, which led into the Void, this planet went into the photo-negative reversal that became this reality and produced your body and astral body. To get out again, you have to reverse back to positive and that is not straightforward and is not possible by way of the path of the chakras to the source covered above and in the 'false light' link, or if you have accepted its lifestyle and waited for 'ascension' to lift you out. You are still 'marked' photo negative and remain so in a huge array of ways which we have been happy to cover in the books we had available and now tell you about in the retreat - e.g. like when you buy take out food or eat out and that food has been 'programmed' or 'prayed' over. The changed energies which are part of this planet's Ascent have not been the dominant energy, and this world has still been under the 'lesser light'. But if this planet is going to change to its Ascension - shown in the animated diagram further down as the 'right ascension' of this planet's fallen side - then those energies must switch over. The Ascending 'light/energies' issue from a different Source from that of the ending 'age', covered further down. They were triggered in 2003 when the sun was active. 'Communication' happens via light through stars like the sun of this solar system. Even now, this planet is still waiting for the sun of this solar system to 'wake up' so that much more of the new incoming 'Ascending' light streams/energy streams, can be directed this way. The process of change also requires that the Magnetic Sphere (magnetosphere) around this planet has reduced to let in more solar energy which is how energies within the galaxy 'communicate' to initiate the polarity change to the positive Ascending Force - which is what is happening on this planet now, and contributing to 'climate change'. Currently the Earth is in a very blank 'solar minimum' which is usually an 11 year cycle, and the change to positive had only begun a little before that. Now the wait is for the sun to 'wake up'. We think it was around 2001 that the sun moved into its active phase for 11 years, which is why it was extremely active by 2003 and initiated this work into existence. However, it was still part of the negative world at that time. The current solar minimum began around 2012, which was the date for the negative side to have established its acceptance worldwide, but also the 'end times' of the play as far as it being the last Solar Maximum before the Solar Minimum. The next solar 'wake up' should begin around 2023 - and that is expected to strongly bring the 'instructions' for the planet to change to its Ascension. This occurs while the 'world plan' still continues to introduce its tech run world, including running mankind's brains, and planning for a world where everything is so efficiently run by technology that there are too many unnecessary people on the planet. But perhaps not for a virtual world like the 'Matrix'. Overall, this article is really about the existence of the path of Illusion – a reality which wrongly and accidentally took place with real living, eternal energy on a temporarily available, yet very real planet, as the screen upon which that reality plays out - for as long as the 'screen' is there. As that screen is about to leave this realm, there is a time limit for your ongoing existence in this world and then returning for the rebirth of the next 'new Earth'. The world is overrun with information, fascinating stories that may take up all your time and efforts trying to understand on a mental level. No matter the information level this work or any other provides, it becomes a diversion if that is all you do. What you need is to use it in order to understand that for the planet to Ascend it must change polarity. That means that is what you have to do too. That people are being led into the 'false path' however, is a deliberate agenda which targets good people who truly seek to ascend out of this false reality and live within the consciousness of the Upper Realms. Already people are automatically photo-negative, that is the existence of this reality, but the spiritual side of that 'false path' even though it seems the clearly obvious path, targets taking souls into that source, which involves stars, light, and also involves the existence of artificially created intelligence - the piece of junk somewhere out there which was made to create the System to run a planet dominated by the consciousness of money, the economy, and a super efficient world which does not recognize the qualities of being human. This is the big crime against humanity that was well recognized and fully understood in ancient times, then pointed to and covered in the 'childish ramblings' in texts like the bible, more specifically the Christos viewpoint. Humans, even with their feelings and flaws, are still the highest form of life. But the 3rd realm mankind has never reached that stage. This level of mankind consistently thinks the point of transformation to a higher status involves merging mankind with machines, and then 'mankind merged robots' will have the ability to travel space and colonize other planets and so on - which is a predictable, unimaginative, and very ordinary point of view. It is not the smart forward thinking these limited levels of consciousness believe it to be (at least based on what is understood to have happened). So for some unknown reason, they think machines are better, which completely fails to understand or recognize what mankind has the opportunity to discover within it's heart and head yet continually misses. That is the humbling recognition of a presence that one can only bow before, gasp in shame that it is not recognized, and perhaps cry for, that this ignorant world does not see. If it is described as radiance, people think that means a brighter light - and misses it again. Mankind if it could muster something of the required development it is asked to try to achieve, could then evolve to a higher status. But it doesn't. Mankind chooses everything that is part of the denser physical realm. It also chooses the super efficient world, a lesser form of 'spirituality', and after that, most of the world's population get to experience the switch off of the movie, to try again next time, perhaps. In the conflict set up in this world, which may be a created story line but that is not certain, if the players involved in the conflict between Arabs and Jews really wanted to resolve what is a totally impossible to resolve situation as it is now, then all they have to do is choose the rules of Higher Consciousness - apply the Golden Rule, practice forgiveness and compassionate yet logical understanding. The situation is what it is, it has to be graciously accepted. It has to stop the endless hatred and trying to kill a perceived 'enemy', which is not only the situation mentioned but also between two different groups of the same faith. There is something else that must happen too. That is to give up continually trying to bring in the system to rule this world via the economy and through technology - for that is a terrible crime which curses the people on this planet to remain in the fallen realm; and it is what the other side are waging a 'spiritual war' against. For everyone else, the choice to be 'marked' for the Lower Realm lies in what is probably a slow wittedness which comes with complacency and accepting the lifestyle, attitudes of this world, and every bit as much by taking the 'spiritual path' of the chakras through the body, which is the Lower Path. This world is a distorted existence which does not have the beautiful character attributes of the humans as they are in the Upper Realms - those who are part of its consciousness. This world sneers at compassion, gentleness, morality and kindness before profits and self interest. Further down we look at the enormous push to lead people into the source of the temporary light. Integrating into that, was the mistake these ones from 'orders' and ancient religions took themselves. Then please continue to 'How Cancer Entered this World'. ....... for a World That Wishes to 'Evolve'. Long ago, the people on this planet made a wrong turn. The choice to prefer another energy changed the reality of today's world from positive to negative. This planet became negative - and the life span which had been eternal, went to a thousand years and then gradually lesser and lesser. It did this because the people had decided they preferred a different energy source. The blame can be placed on bad 'societies' but they became that way by doing what people are doing now, and going deeper into that same wrong turn. It is still the wrong turn that is the problem - and it continues. 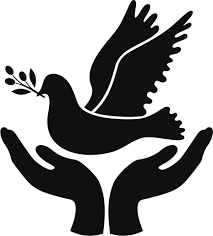 ..........that means it did cover the 'controversy' everything that had taken away that Peace. It covered the topic in detail, with books on the energy from the stars which had lost their power which had become the chosen energy stream by people on this planet. As this has to be presented in person, the Retreat is the way that this can be done in the circumstances of this world as it is. Therefore we aim for this to be an enriching experience as a seminar set within the magical, peaceful, riverside location within the borders of the ancient holy city of Angkor Wat. that source considers that you are part of the Illusion, and do not really exist either." There is a lot of information, so we have broken this page into small easier to read segments, and separate links, and sometimes included some health related information along the way. ***This work does equate the thing which has its existence inside the 'dark rift' aka Void and 'rabbit hole', as a cancer, which is something which takes the life energy of its host in order for it to exist, yet it kills the host to do so. There is more on this, but it has been called the 'beast', the hydra, octopus, and architect - a form of giant squid. As we look at the story lines which abound in the realm of Illusion, whether angels, aliens, treaties etc, the objective devised by a form of created 'intelligence', is to draw the entire living energy planet into the 'rabbit hole'. That living energy then feeds the thing and enables it to exist and grow even bigger (and maybe allows it to try its hand at playing 'god' by creating worlds inhabited by technology). As a storyline goes, here are a few points to think about. There was not just a second intelligent self-aware creation on this planet after it passed through the Void of darkness entry into the 3rd realm, but two such creations from the 'false light'. The lineage from Cain, and the lineage from Seth. The first people on the original status of this planet were those born of the 5th realm before the damage caused its Fall. The 3rd realm creations are real people born of the real living energy planet but without the higher levels of love, empathy, mercy, and with a different 'god'. That 'god' is the creator of the existence which is the Path of Illusion, which is also called the Path of Rebirth, but the existence it provides is not actually real and it is not ongoing. It is part of a particular energy which makes all technology possible, but has also been described as like 'tentacles' around this planet (Scandinavian legends) and as a cancer which compromised this planet. So for those interested in a conspiracy on this planet and its perpetrators, there are a few important points. There should never be a mixing of people with different religions, because it is not correct to assume that people are all talking about the 'same god'. They are not. There is a real Source and there is a very definite, very real 'false god'. To say it is all reasonable, and is sensibly talking about foolish wars over the same god, gives only one of those gods credence - and that is the 3rd realm one. Magically the True God Source is removed from the picture! However, there is a war going on, on this planet between True Light and the 3rd realm darkness. It may be a difficult thing to say someone's 'god' is false - we think it is an ancient AI tech mistake of an ancient world, but will cover the details of that topic later. Whatever the story, there are two different paths with different goals. The goal of the people of the 'Path of Rebirth' - being a 3rd realm creation - is that they want the physical planet so there are no more 'End Times' for them. That is, they want control of the planet and for the planet to remain in the 3rd realm, because the planet does not remain in the 3rd realm, it moves out of it. This removes the 'screen' onto which life-forms project, and there is an problem about what happens to the 3rd realm souls when that happens. Keeping this planet in the 3rd realm - which means preventing it from changing polarity - is what the 'invisible Force', as mentioned in the Protocols document, has been aiming for, for eons. However, if that happened the planet would be pulled into the 'rabbit hole'. They also want to reduce and wipe out all 5th realm people hence we have looked at immigration policies, an ancient war, and a targeted operation of deliberately luring 5th realm people into the 'false light'. Their goal is to keep the planet in the 3rd realm - and yet for this, and for the goal in the previous paragraph - where is their directive coming from except from a 'god' that has not given them a real, eternal existence? A 'god' that Dan Brown is describing in his book 'Origin'. A powerful 'box' that might be the 'keeper' of the ideology that is the 'conspiracy to rule the world'. Are there people on this planet who worship a box of some kind as 'god', and if so, why? Does 'god' really have a 'house'? Why were the Nazi's looking for the Arc of the Covenant, and were they the only ones looking? There are also very famous people who have hit headlines with their exposes of the 'Conspiracy' but they have also described the awakening they experienced which began their crusade. That 'spiritual awakening' was clearing describing the chakras through the body awakening Path of Rebirth which is the connection into the 3rd realm source which is the Illusion, and the source doing all of it, as well as playing both sides. Cacao - has an amazing 40 Times the Antioxidants of Blueberries and is the highest plant-based source of Iron. and full of Magnesium for a Healthy Heart & Brain. It is also a natural Mood Elevator and Anti-Depressant. The 1,000 year old temples of Angkor Wat found in the jungles of Kampuchea, and the mystical knowledge embedded in the main temple tells not only about an ancient war, but about the structure of this 'world of illusion' reality. There are 5 towers, which shows those who designed this knew there was another realm beyond the Fourth Level 'Mind Realm'. The Mind Illusion, or creation of a 'Mind' is a reality which only exists because this originally higher level '5th Realm' planet has a damaged axis which causes it to temporarily journey though the '3rd realm' for around 12,000 years of the 25,000 years Cycle of the Ages. It is not only the main tower of Angkor Wat which points to another realm. The pillars in the at least 12,000 year old ruins of Gobekli Tepe in Turkey also give this information, and of a previous civilization which wanted to record in stone, aspects of what the life forms were and perhaps the times in which they lived. Archeologists and researchers focus on whoever that civilization may have been, but that is not the interest of this work. It is the alignment that this stone calendar shows that is of interest. These are new sources of ancient knowledge which are only now yielding their information. 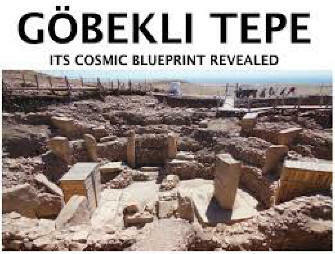 Importantly, the purpose of Gobekli Tepe is to track a particular group of stars - and by doing that, it shows that the change to Ascension is not an evolutionary step that is a one off occurrence. It is a cycle. It has happened before. As a regular occurrence in a lengthy cycle, where anyone could be forgiven for forgetting what happened 25,000 years ago, it does also mean that what has happened before with the expected change in energies, was already known about. Known that the energies which sustain this reality are about to change to those which become part of the Ascended 5th Realm. Which makes it of interest that at this point in that cycle, there has been an enormous push by the forces which control this reality, for people to choose the source of this reality - which is the path of continual Rebirth back into the 'world of Illusion'. Therefore we want to cover the way out of Rebirth and the 'world of Illusion' and that such a concerted preparation for the energy change has taken place, suggests that the event is expected fairly soon. We reference Angkor Wat and Gobekli Tepe especially as the latter is proving a great source for researchers and scientists because this proven to be ancient architecture points to specific star sources, which the researchers believe to be the home of the people who first seeded life on this planet. So, it is of great interest, but for us it is not the same reason and we don't follow on from the work of these researchers. There is a far more ancient and very different reality involved which is not about how some ancient races came about in the 3rd realm. Yet it still completely backs up what this work is saying, and this work is talking about the Source of the everlasting 'life streams' for the original status of this planet and its original inhabitants before the 'Fall'. Anything to do with the very different energies associated with this planet's Ascent, is a new level of knowledge which has yet to make its way into consciousness, because its different energy status has yet to increase and gain momentum. But there is the problem that the understanding may come too near the time that the planet actually switches polarity, and that would be too late. The 'temporary light' is not from the same stars recorded in the pillars of Gobekli Tepe. So clearly, any of this massive topic can only be introduced in an article, but you may be motivated to follow it up. In question is the path of the light for this world which is the clear and obvious way ahead, because it is the source of the creation known as Genesis and is a straightforward path of light through the chakras in the body upwards to the light source itself. However, what seems to be the 'top of the tree', even the star at the 'top of the tree', is the end goal and source of a 'spiritual 'path', but this one is into this lower source which produced this 'world of Illusion'. Which is what those of an ancient world - those who had been through the same development as this world has experienced again this time round - tried to leave information on. Reason dictates that you must also be at least somewhat aware that there have been warnings throughout time about something wrong with this otherwise natural path, even though information such as that, like other anomalies, is tuned out when it doesn't fit the narrative that has been accepted. But the Upper World has said there is a different pathway, one that is 'lost' and 'hidden', yet according to stone records, it is pointed to by some mysterious architecture which was built only for that purpose and to track how that 'path' is gradually 'lost'. For those who pay attention you will also see that ancient teachings associated with the lineage we have mentioned, use verse which is about swans. The swan refers to a constellation that appears before the planet enters the Void of darkness, as shown in the stone circle of Gobekli Tepe. This information is also kept elsewhere too - clearly in the verses of the spiritual lineage this explanatory teaching represents - but stone records which can be dated to an ancient time, do tend to prove how old this knowledge really is. Even though this knowledge existed, people continue to take the chakra route, and although they do experience 'energies' and higher being connections etc, for some reason they did not know to question why there were warnings against doing that. Especially when texts warn that it is this which is keeping people trapped in the 'Maya' the Illusion. Yet there has been an enormous operation on this planet over many decades to ensure that you do - and that could be described as a conspiracy. "Algorithms give the precise time that it is known it will take for human consciousness to accept change. It is just a bit slower than it takes for the events to take place. That is all the 'conspiracy' needs to know." Plants and Herbs for Improving Brain and Cogitative Function. This article includes small sections on some health information to break up the overall length. 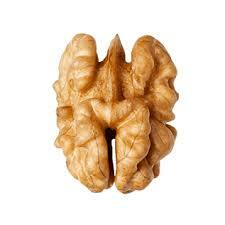 Walnuts - these nuts are rich in heart-healthy fats and high in antioxidants. Regular consumption may improve brain health and help prevent heart disease and cancer. Nuts and seeds such as flaxseed, chia seeds, and walnuts are rich in EPA for brain health. The reality still remains that it will be a miracle if most people - those searching for answers - find they have not returned for the 'new Earth'. People remain diverted by the many wild goose chase stories raised by people playing for both sides, 'exposing' the conspiracy yet 'spiritually activated' into the negative light. Most are still chasing up 'treaties with aliens' - and consciousness is being led to the conclusion that it was 'advanced alien beings' from another star system who created mankind. However, even if you discover that as seeming to be true - maybe there will be contact or some such thing, which is easy to arrange - it does not make any difference to what happens to you when the planet switches polarity. 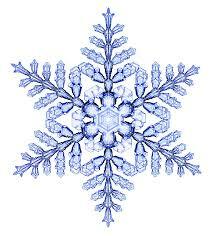 It is the coming change of polarity that matters, not anything in the storyline of this 'world of Illusion'. If you get on with that, then they have failed to divert you. However, it would seem that what has not yet been realized is that in order for the planet to Ascend it must change polarity and to be resonant with that, you have to have prepared for it - because you are already marked negative. In addition, people have not prepared for it, they have prepared for - even by just waiting and doing nothing - they have prepared themselves to be part of Earth's next rebirth. If you are thinking of preparing not to be part of the next 'new Earth' then the 30 or so years you had available, is now just over half way and there is until about the early 2030's left for you to do that. If you have not understood the issues of the existence of the path through the physical body - the body is the creation of the negative light - then you may well still be thinking that you have done preparation, even though this work fully explained who was providing all that preparation sometime around 2010. Consciousness, when limited to being in a 'box', tends to reason that the warnings not to take the first path, the chakra path, were and are because of fear - simply concerns from less free spirited people who are afraid to do it themselves, and afraid to find and allow joy, and so on. Yet that is not the reason. It is well and truly known what will be experienced, it is just really difficult to get a word in with the solid narrative that has been accepted. And as algorithms show, it takes time for people to let go of ideas they have accepted. Since those who write the information on the path that begins at the 3rd eye have actually done that path there is, quite logically, knowledge of what is being talked about. It exists and people have taken that path! The logical viewpoint of a spiritual journey is, naturally enough, that it would seem be through the chakras of the body, keeping the chakras aligned with the crown chakra, focusing on the 3rd eye to 'keep balance', brain hemisphere balance, and moving energy upwards into the head/crown etc. Logical as that all is, and true enough as the end experience is, that is the pathway of the light that was brought to this planet in order to develop technology. It is the light, the codes and substances etc which the physical body is made from, and its point of origin is the end goal of the lower level path which always remains controlled by the Illusion, and the 3rd Realm. The highest level of that pathway is MIND which is the authority of 'Intellect and Intelligence' but without the 'Heart'. It is the reason almost everyone returns back to this reality through rebirth - when the planet's next 'new Earth' begins again. Yet it does seem obvious that since the reality of that false path is explained, and all of it is explained, people must have been too slow to understand, for indeed once an idea has taken hold, it is difficult to let it go. Also algorithms can give the precise time that it is known it will take for human consciousness to accept change - changed information - and that is all the Illuminati side needs to work with. Then there is the next 'new Earth' that so many people have been encouraged to want to be part of. Yet the Higher Realm has throughout all time, told you, that it is not about what the intellect can devise through knowledge. It is about cultivating gentleness, selflessness, and humility so that a wise and higher consciousness run world does so by the Golden Rule. Therefore, it is not even really a deception, because those who await the 'new Earth' and the new future, have done, and are doing so, because they did not check what they were doing. Soon the planet begins its ascent and the 'movie' switches off. People await the next 'new Earth' - but of course, have missed being part of the Ascension. The 'First Times' is when the movie projector switches on again as the planet enters the 3rd realm (which is also the time the planet leaves the 5th realm). It is then as if those in this world have just woken up and are about to carry on with their plans - which for some is the tech run new System that they happen to be keeping records for and which they want to introduce on this planet, for isn't this the moments after something weird just went wrong with the System, and now they are getting back to it? Not known to everyone of course, so when the world develops from scratch again, and historians, geologists, archeologists etc start investigating the history of the world, there are anomalies, and a mystery is encountered in that the further one traces back in that 12,000 year period, architecture gets more sophisticated. The "Alchemy where the Star-gods moved through the Void and created the Grids of our Reality". Rebirth into the 3rd realm, is written about in Egyptian mythology as ..... "the Golden Age of Alchemy where the gods moved through the Void and created the grids of this reality. We know them as the Egyptian Gods highlighted by Osiris who is associated with Orion, god of resurrection and rebirth". Orion is one of the sources of lower light which reaches this planet, and Rebirth is a problem because it is the rebirth of the planet into the 3rd realm - and the light and other codes of light, prisms, etc are those that are encountered here. That time is also the Fall and loss of the planet from the 5th realm. Egyptian mythology is a good record of how the creation from the negative light which temporarily reaches this planet while it passes through the 3rd realm, came about. 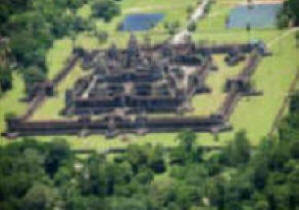 All of it at an angle to the star source pointed to by Gobekli Tepe and alluded to by Angkor Wat's 5th tower. It is a light which created shadow grids of lesser light that only came online after a Void of darkness was crossed (sometimes described as a 'portal') and remain separate from, not connected to, what was online before crossing that Void. The entirety of this false existence is not even near or connected to the 'path' that leads out of the 'realm of Illusion'. Nor can you find the way by visualization, or trying to achieve hemispheric balance, and so on. So, it will still be a miracle if most people do not find they have returned for the 'new Earth'. Foods That Fight Cancer. Apples. Blueberries. 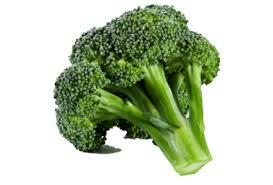 Broccoli & Cruciferous Vegetables. Carrots. Cherries. Coffee. Cranberries. Dark Green Leafy Vegetables. Flaxseed. Garlic. Grapefruit. Grapes and Grape Juice. Soy. Tomatoes. Walnuts. Another way the problem of the growth which came to this planet when it entered into the 3rd realm that is this world, can be explained, is as a cancer which enters this planet but 'thinks' this world and planet is part of its creation. Clearly this growth - which always requires more growth of its kind because its energy currency is 'the economy' - is not something wanted in the Upper Realms. Another reason not to integrate with its source, which is after all, designated as 'anti-life'. The temporary light does seek to 'own' its creations but also there is the problem of those who have integrated with it and thereafter 'belong' to the light sources which only temporarily reach this planet. It has also led to distorted beings who truly belong to their new 'god' and therefore support its agenda - a 'cancer-like' agenda to wipe out, or breed out, everyone and everything from the Upper Realm, and take over the host body. How that is achieved, is briefly covered in this link. The Gobekli Tepe ruins in Turkey are proven and dated to be at least 12,000 years old. From 2017 it has been discovered that the pillars in the centre of the circles are pointing to a higher star system which the builders of this considered significant. Then as this planet moved on its journey, they built more of these circular 'star trackers' to replace the previous one. They did this to monitor how the planet is slowly moving away from its path. As this takes many years to move from one marker to the next, it would suggest a great age to this archeological site and previous knowledge of the planet's movement - because the Gobekli Tepe site was buried and hidden during the time the planet still aligned to the first star markers that were built. The star Deneb is the start point for the planet's journey before it goes through the Void. Deneb is in the star constellation of the Swan, the same source mentioned in the verses of the lineage that remained with this planet for its journey through the Fall. Deneb is located within the vicinity of the Eternal Source covered by the records on the 'lost path' as taught by the lineage which survived. This work clearly identifies the Christos Knowledge as existing from 12,000 years ago from the moment this planet entered ‘this world’ and long preceding the beginning of Judaism. But even if it wasn't that but was the 2,000 years ago when the Roman Church created its version, none of this is anything that has just come to mind. Also covered in Revelation is the ‘judgment’ that depends on the way you are ‘marked’. You are certain to be marked negative. There are also a million ways which ‘mark’ you negative every day, even like buying takeout food or eating out where that food has been programmed/prayed over, etc - and we do cover most of them in the Retreat. Thus we have now added a page for some definitions based on the many sources which also echo the Christos source, the sacred Master lineage which remained, and also the Scandinavian and Greek sources. By the way, when we mention that the Christos long precedes the existence of Judaism and when the advice found there is ‘do not judge’ it is actually referring to having a society with a judicial system and run by the ‘rule of law’. This world was intended to run by the ‘rule of True Source’ which is ‘love, mercy and wisdom’, the ‘Golden Rule’, and decided by the all important Wisdom. The Conspiracy, Cancer, and Space Visitors . It could also be said that the 'darkness' shadow associated with the lower realm this planet is in now, and which entered and took hold of this planet (while the planet is in the descending part of its cycle) could be described as the same condition as cancer in the human body. Cancer somehow manages to fool healthy cells into accepting it, after which it converts those once healthy cells into the same anti-life status that cancer is. So we look at the conditions of sickness in the body, because we did begin with healthy plant based diets and therapies, but now do so also in relation to the dark shadow energy which entered this planet. And that is what we are going to briefly look at now, with the understanding that the first 'cancer' in this galaxy probably happened on a different planet called Maldek/Marduk which was destroyed by it. There are indications that the next planet affected by this condition was Mars, and then the target was Earth. If you know your Greek Mythology, Atlas holds up the planet. If you know about some other Greek sourced legends, you will know that a previous advanced and developed world Fell - requiring 'Atlas' to hold it up again. It is rather like the human spine where the atlas holds up the brain but that brain falls on its cyclic journey, and encounters a second brain. That second brain also has a 'path' and that path shouldn't be there. It is part of how a form of 'galactic cancer', a shadow energy once called Eitr, gains access to the planet. The word Eitr comes from Nordic (Scandinavian) records. That energy also gains access to the human brain - as told in Greek mythology which described how the 'Hydra' took residence there. It did so after the planet crossed a Void of darkness, and is how a secondary source of intelligence now has access into consciousness on this planet - because of this fall into a lower level. This may provide insight into how a conspiracy exists on this planet. That is, if people began to align into and integrate with this secondary source, thinking they had reached enlightenment and 'god', what might it communicate to them? So, the same problem with the planet also happens in the brain, above the atlas of the spine, where there is a curiously out of place area of darkness and shadows where the 'galactic cancer' enters - thus influencing consciousness. This problem is detailed in surviving ancient records. Poisoning by Food, Air, Water, the Dentist, by Prescription and non Prescription Substances, Government Laws & the Shadow reality etc. "No matter how pure the diet, and no matter how much you detox, the 'black poison' shadow energy is still there, and it is there because this planet has been targeted". The knowledge we present began with the ancient texts of Greek origin which covered natural health and raw plant food diets etc. It is the information that was also in the texts which became of interest. The texts called the Gospel of Peace were simply texts read by us around 30 years ago because they taught of the health benefits of the raw plant food diet etc. Mostly everyone knows the first one, although there are several books by the same authors of this. They were nice little books, supposedly written by people called Essenes, but as these books came over during the Exodus from Egypt, the authors weren't Essenes. These little gospels were read then put aside as part of what one reads, while the more pressing search and need for answers was followed up. This was a health related search but more significantly a spiritual search which looked at everything, and there was a lot happening in the way of what was called 'spiritual interest' around in the '80's and '90's, most of which was not really providing what this author was looking for. That it was not providing enough answers was the reason for the huge dissatisfaction I felt with what was available. For one thing many well established texts warned against certain practices for instance, so why would they exist? During the 10 years from 1993 to 2003, I studied the written Teachings of the lineage I had found. It is a spiritual lineage and they of course had their own printed books and records for those who wanted to know on a deeper level. As mentioned, some of those Teachings discussed the Swan star constellation and other information that was being withheld from the narrative. Those books were not about diet and health. They provided a considerably bigger picture to 'spiritual development' and a different picture from the viewpoint being taught, which at that time was full on. It was later that I noticed the similarity between these, and the lesser known books of the ones that had been kept for thousands of years and written and rewritten by the Therapeutae which was the Greek name they were known by in Egypt before the time of the Exodus which was not a Greek Therapeutae issue, but was an enormous upset which saw many records, including the Gospels of Peace and the Dead Sea Scrolls, leave Egypt. Then these records and the information they revealed was hidden. Not to hide information on diet and longevity, but because those who had been keeping these books, the Essenes, were associated with the uprisings in Jerusalem and Palestine before the Diaspora, and with the later Knights Templar and Freemasons. Hiding this connection looks to be the reason they were taken from Egypt, and it was to remove knowledge of their original keepers from history and imply that the Palestine 'Essene' groups were the same as the Therapeutae. They weren't! The Therapeutae became known by the name of Assaya which meant Healers, and that became Essiah and Isaiah. Their texts and gospels however, turned up under the other name associated with those hiding records and treasure beneath the Temple of Jerusalem to be collected later by the Knights Templar and transported to the 'New World' - somewhere others of their communities had already gone to - because they had the maps of the Earth before the Fall. Other books these ones wanted hidden were the Dead Sea Scrolls and the reason was because books such as these described the dying star and that people who had aligned into it - the chakra path of 'light and love' but at a much lesser level - had become the consciousness of that dying star. Scrolls described how this planet had been targeted and forced onto a 'false path' - which means a literal path to align the planet into a different star system, yet one which was the bringer of the negative light (dark and magnetic as is a dying star) to a planet which would not remain in its realm. There surely can be no doubt that people who took the path into the source of the negative light - a dying star - are now themselves changed beings. It is believed that this problem has occurred on other planets too, before it happened here, meaning these changed beings then help the temporary 'light bringers' stuff up more planets and people. Maybe they know the error they made but just cannot get out of it. It is expected that the reality of aligning into the lower light sources becomes apparent soon after the planet has switched to its ascent. It could also be added that that is how it was for all the other advanced civilizations of previous cycles, which came to an unexpected end instead of the evolution they too had been told to expect. That 'evolution' is by no means the world this planet Fell from, but the realm it was travelling to, which is of course what it controls. It is intimately connected to technology and the development of technology and even that it is implemented to run this planet. To exist at all, it uses a particular energy which makes all current technology and the System which runs this world, possible. That energy was described in ancient Nordic (Scandinavian) records as the 'black poison', the Eitr along with warnings to leave it alone, and what happened in previous rounds of the Cycle, when they did use it - for example, Atlantis. A world run by Technology developed by using the particular 'black energy' is still the same source, and the same path that this world is under now. That path might indeed be the evolutionary destiny believed to be the 'future world' presented each time this planet reaches the change to Ascension. However, the Ascension of this planet is not that destiny. The high tech 'future world' is the next 'step' of the same path this planet is already on, but it is under a light and 'light bringer' called Illuminati. The source of that 'light' is the light which only temporarily reaches this planet when it is in its Fall phase of its cycle - the Zep Tepi/First Times to the 'end times' when the planet moves out of range of that light. It was never supposed to reach this planet ever, and even less that it created life on a planet that would only briefly pass through its lower, denser existence. The thing is, the Records on this were not entirely lost, nor were the teachings on how to overcome this, which is the problem of not only the temporary light, but the problem of the planet's ongoing 'rebirth'. The existence which was born of the temporary light is between the Zep Tepi (First Times) and the 'end times' which is when the planet switches to its ascending journey and returns to its true home. There is a time limit for this to be understood. ...............but that does not mean it didn't cover the details of what took away this planet's Peace. *Knights of the Dead Star - again, the light still travels but ended eons ago. *World of Illusion - the light still travels but ended eons ago. 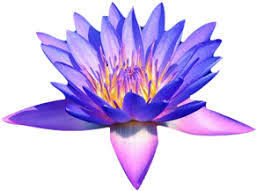 The Awakened Lotus *this is the first section of the article below, 'Proof that on this Planet, there is a Conspiracy'. The Negative Light and the Creation of Mankind - is the second section on this page. Brain Food for those who continue to be brain dead. This work is copyright.© If you are able to help this information become known, you may use non-distorted material from the articles on this website , for Twitter or Facebook pages etc which must include a link back to this website www.Soul-Search.org . Please do NOT use pictures or photos. If you are able to help by advertising, this page gives you acceptable notices to use.